A practical accessory for custom reminders or notices from Restoration Hardware. Be specific, witty or naughty. 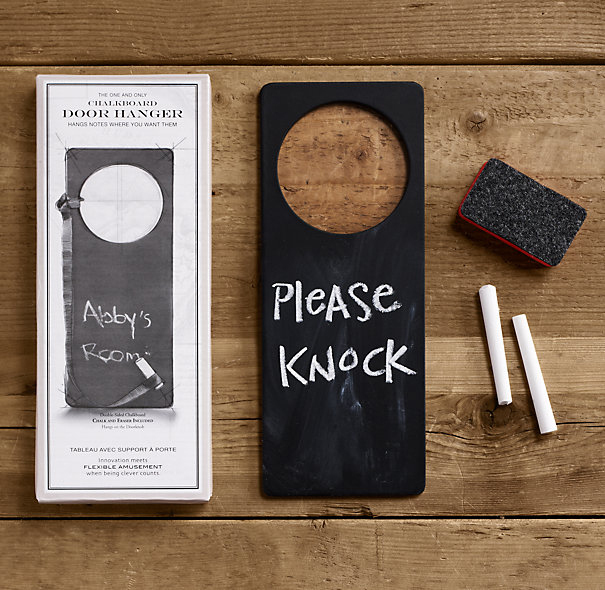 The chalkboard is double-sided and comes with 2 sticks of chalk and a mini eraser.